This time I kept my card CAS (clean and simple). 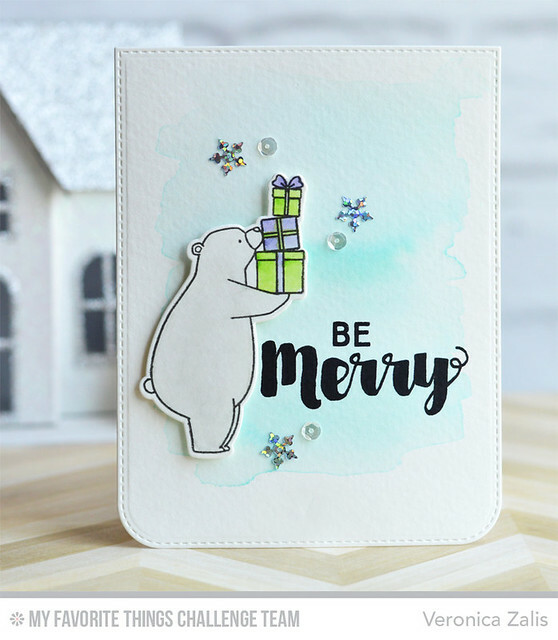 I love the bears from the Birdie Brown Birthday Bear set, and I love that they are great for Christmas cards too! I used Zig watercolor pens to color my bear, and I used MFT ink and a water brush to color the stack of presents and the background. I hope you like my card, and I hope you will play along with MFT Color Challenge 35! so sweet! I love the soft coloring and the little snowflakes!